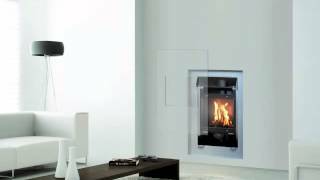 Roma gas fire, an amazing high flame view. It creates an atmosphere with a tall flame view. Visible flame surface for model 90 - L 435 mm X H 986 mm.